If you were hoping for more Gundam Thunderbolt units, there’s good news! 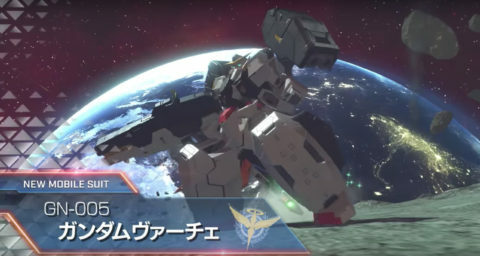 Atlas Gundam will be joining the Gundam Versus roster as DLC in late November. This will more than likely coincide with the release of the Gundam Thunderbolt: Bandit Flower movie, which will showcase the Atlas Gundam. If anything, it looks to be a 500 cost suit with many mobility tricks up its sleeve. As not much is known, we’ll continue to let you know as more info hits! Phantom Gundam and Nightingale will be coming to Gundam Versus on September 26 in Japan. 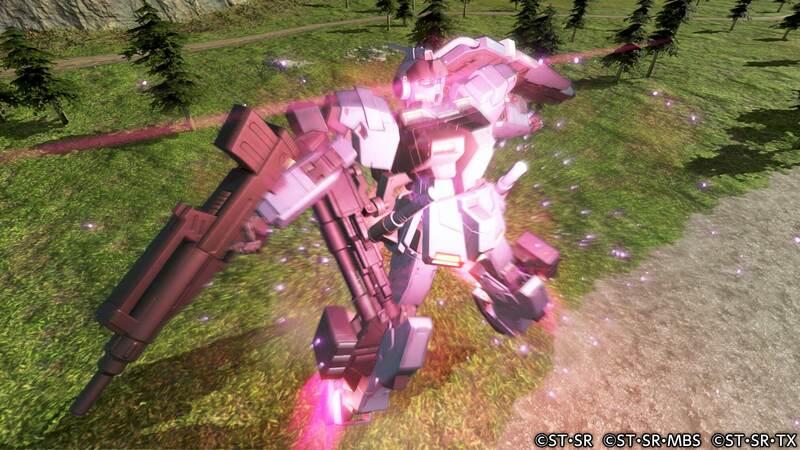 As mentioned in our previous post, Phantom Gundam is a 400 cost unit and is taking full advantage of its unique abilities along with its mobile armor and Phantom Light mode. The Nightingale, added back in EXVS Maxi Boost, returns as a 500 cost unit with its projectile heavy arsenal, suppressing the enemies with a bombardment of multiple funnel attacks and other beam weaponry that fills lots of space. What will be interesting to see is if these units are already available as DLC for the Western launch on September 29. We’ve heard no information regarding pricess or whether or not there will be some kind of season pass as well. Considering the current cost per unit in Japan and the amount of units that have already been released, it’s a pretty tall ask for players who are jumping into Gundam Versus and are wanting to get the whole package. As always, we’ll keep you informed of new information as it comes in. Check out the trailers for Phantom Gundam and Nightingale below and let us know what you think! 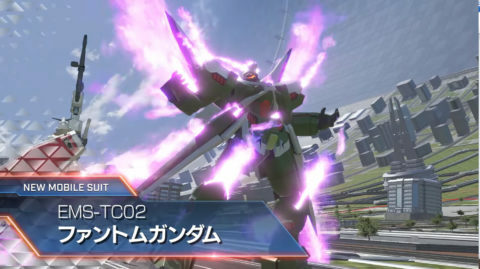 As we await the upcoming Western release of Gundam Versus on September 29 on top of unreleased units such as Pale Rider and Gundam Guison Rebake, Phantom Gundam has been announced as a future DLC unit from Gundam Ace magazine. This will be the first time it makes a video game appearance. 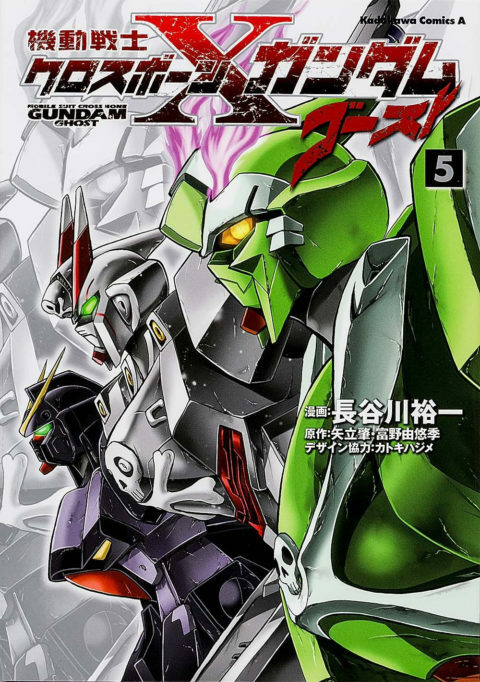 The Phantom Gundam comes from the manga Crossbone Gundam Ghost, a sequel to the Crossbone Gundam: Steel Seven manga and set around the events of the V Gundam anime near the Jupiter Sphere. The Phantom Gundam is a prototype unit from the Jupiter Foundation using Minovsky Drive technology stolen from the SNRI, the institute that created the F91 and F97 Crossbone series Gundams. 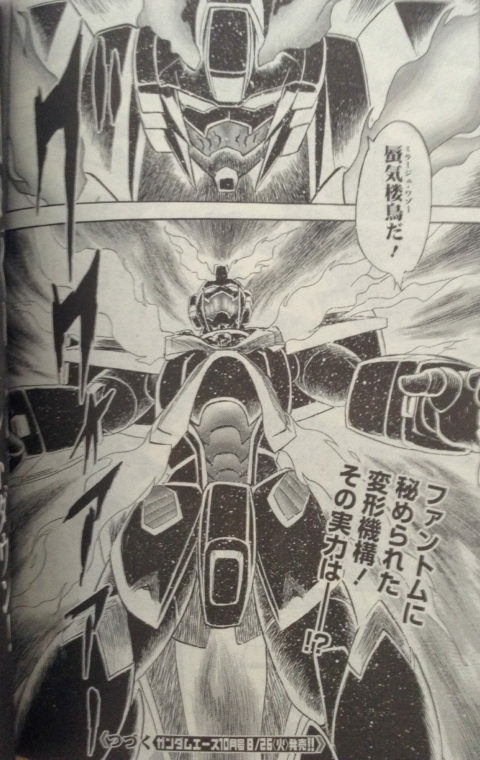 Essentially, the Phantom Gundam can generate wings of light similar to the V2 Gundam, but due to imperfect reverse engineering, it cannot match it performance wise. With similar cooling tech used in the F91 to prevent overheating, the Phantom’s emissions create a ghost like effect, thus the name. In terms of arsenal, it uses Butterfly Busters which double as a beam handgun and short range beam knife and a Phantom Light beam sword. Expect a lot of I-Field shenanigans as well, as the Phantom’s combination of Minovsky Drive and I-Field generators allows it to supercharge a lot of its beam arsenal and defensive capabilities. Expect to see the Muramasa blaster in some form or fashion as well either as a melee attack or as part of a Striker Assist with the Crossbone X-0. 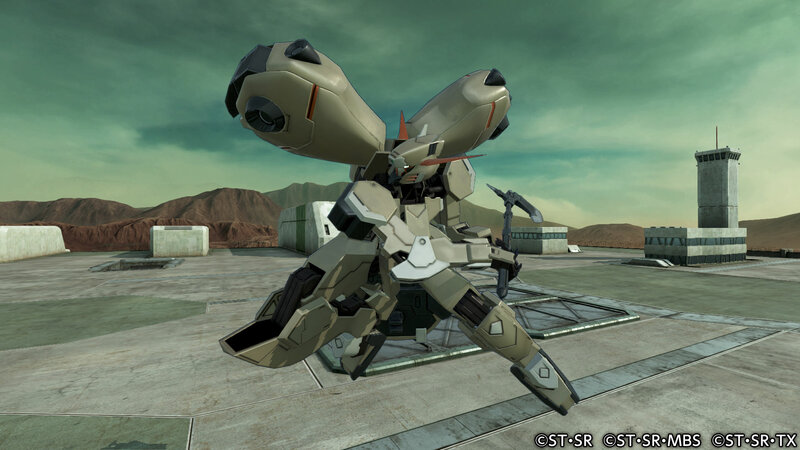 It also has a mobile armor mode called Mirage Oiseau, that will no doubt provide more mobility and attack options for the unit. There isn’t much more information about the unit in terms of cost as well, but I’m guessing it will be a 400 cost as there is a more powerful version of the Phantom in the manga, the Ghost Gundam. Hopefully we’ll see some enemy Crossbone units as well. Until then, we’ll keep you updated as more info hits! 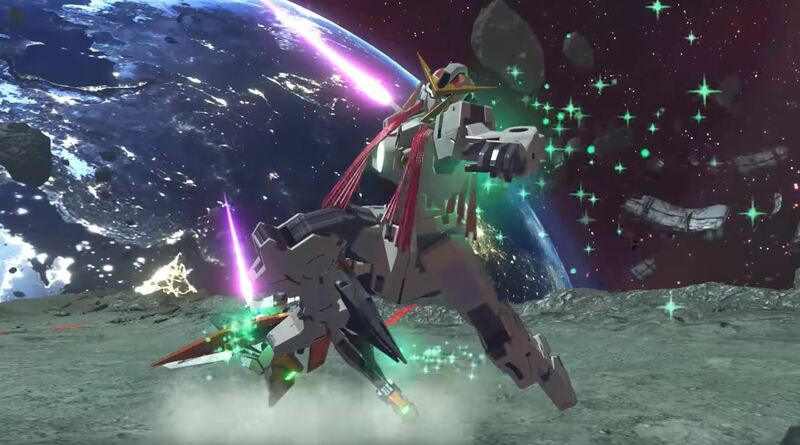 Hot on the heels of Update 1.03 launching later this week, Bandai Namco have recently provided the latest set of playable Gundam Versus DLC units that will arrive in August. We’ll see the following five units enter the fray: Pale Rider, Gundam Guison Rebake, G-Self Perfect Pack, Bound Doc, and Perfect Strike Gundam. The first two units are currently Gundam Versus exclusive, whereas the last three are currently available in the arcade-only Gundam EXVS Maxi Boost ON. 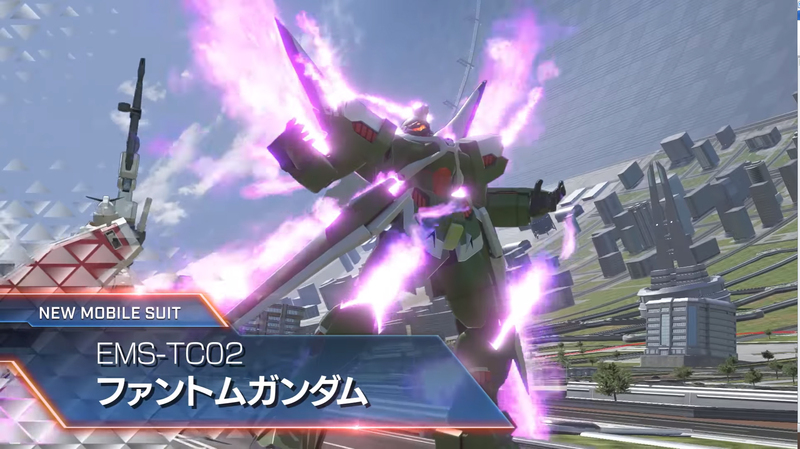 While we don’t have direct footage of the units in Gundam Versus yet, check out what the G-Self Perfect Pack and Bound Doc are like in their Maxi Boost ON reveal trailers below! Set to release on July 27, the next update for Gundam Versus will add ranked battles, extra trial missions, and a boss survival mode. In typical ranked battle fashion, you team up with another player online to take on the rest of the world to climb the Gundam Versus ranking ladder. You can also request what team cost partner you’re looking for, aside from holding a spot for an invited friend in the Team Hold option. In Trial Mode and Ultimate Battle, new missions and a boss survival has now been added respectively. Interestingly, the extra battles that occur in between the survival waves will also be updated. There will also be special extra battles that allow you to use DLC units for free for a limited time! And similar to the arcade versions of the EXVS series, new trial mode missions will feature upcoming DLC units as enemies as well. Another thing to note is that there will be some balance changes to suits, strikers, and stages as well. Check out the update video below and let us know what you think! 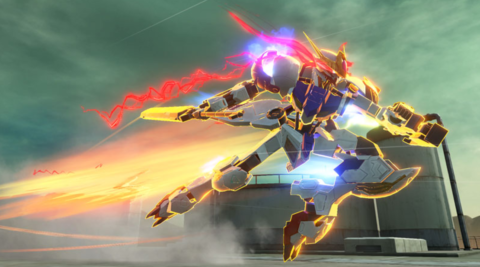 As we get closer to the Japanese release of Gundam Versus on July 6, Bandai Namco have announced they’ll be sponsoring an official Gundam Versus side tournament with AnimEVO at EVO 2017. As you may know, Gundam Versus is set to launch in North American and European territories later this fall. What better way to expand into the community than at the biggest fighting game tournament! There have been EXVS Full Boost side tournaments the last couple of years thanks to Brett Young and the rest of the AnimEVO crew. 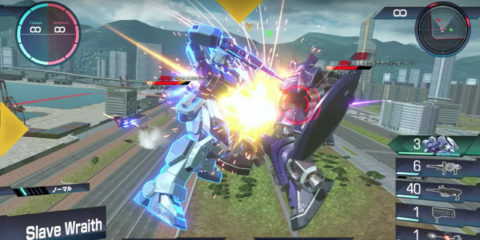 But now with his help in partnering with Bandai Namco for Gundam Versus, there will hopefully be more of a spotlight on some of the great western players in a brand new game. EVO2017 runs from July 14 – 16, so stay tuned for some high level play! Bandai Namco have released a 14-minute video showcasing all non-DLC playable units in Gundam Versus. From new additions such as Slave Wraith and Nemo to series veterans such as Zeta and Sazabi, the video provides quick snippets of the roster available out of the box. No new surprises as well as no footage of Hot Scramble Gundam or Gundam Barbatos Rex. 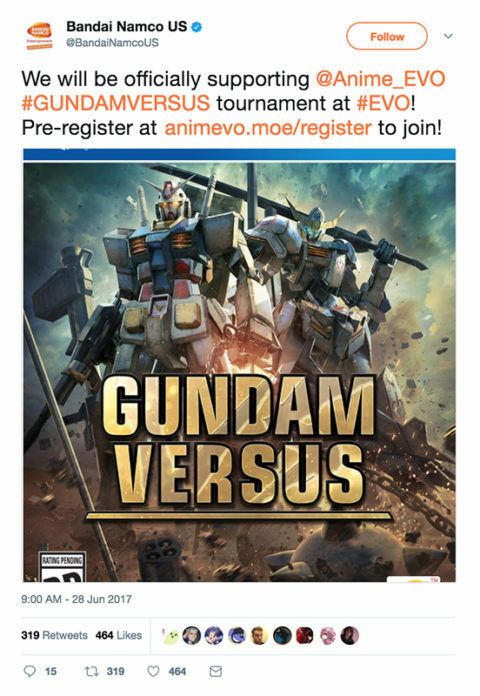 Don’t forget, you can also take part in the Gundam Versus Trial Ver. until July 1st with a rotating schedule of playable units. Be sure to check out the video below and let us know what you think in the comments! Free Battle – Set your battle parameters and play against the CPU to practice your skills. Essentially the Gundam Versus training room like previous versions. Trial Battle – Tackle multiple routes based on Gundam lore and earn GP to level up your units and unlock pilots/strikers/emblems/navigators/etc. Similar to previous Mission Modes in Full Boost and EXVS. Ultimate Battle – A survival game type where you battle waves of enemies with increasing difficulty. You can level up your characters stats after each wave. You’ll sometimes encounter an Extra Wave that has certain rule sets, such as a 3v3 match or Giant boss. Casual Match – An online mode where you can choose either 1v1, 2v2, or 3v3 matches and quickly thrown into matches with random players. Player Match – The go-to game mode where you’ll create or play in lobbies of up to 18 players to compete in either 2v2 or 3v3 matches. Ranked Match – Coming in a later patch, Ranked Match puts you in the familiar 2v2 setting with either a random partner or an online friend to earn points and climb up the global ranking ladder. There are other post-launch plans for added content in Ultimate Battle. When it comes to the Western release, it will probably have a day 1 patch including all the post-launch free content similar to the western release of EXVS Force last year. 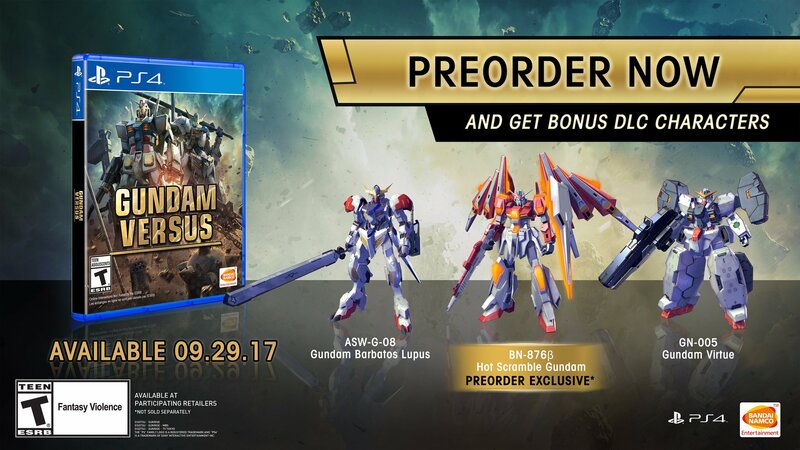 Later in the video, Gundam Barbatos Lupus is announced to be the first actual paid DLC unit (not counting first print Hot Scramble Gundam). Players who buy the Premium G Sound edition will be able to use it immediately for free. A trial version of the game will also be available for download from the JP PSN store starting May 31. 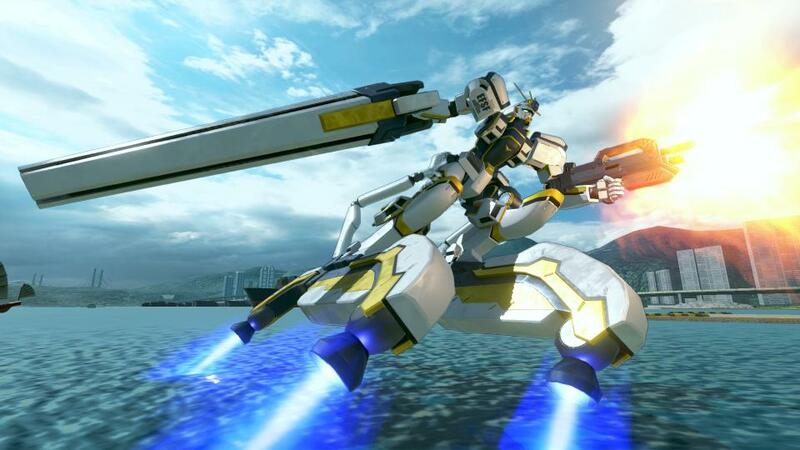 On every Thursday and Saturday from June 1 to July 1 between 21:00 – 22:00 JST, players will be able to play the trial version of Gundam Versus with a rotating set of units within that hour period. You will not need PS+ to participate in the trial. Hopefully as we get closer to the western release, they’ll provide something similar to NA and EU PSN players. Let us know what you think of the content in the comments! For more details and a look at some of the new mobile suits in action such as the Slave Wraith, feel free to check out latest video below.